An intelligent response to Life is to move on, no matter what happens to you. It is when you cling on to what’s been taken away from you that you grieve and suffer. 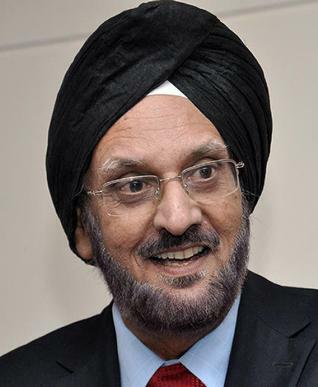 Of course, Singh’s point was made from a professional point of view – diplomats like him, working with the foreign service of any country, are quite used to, and are always prepared, to move at a moment’s notice. Ask them, and they will say, that’s how their lives work. 2. Why do I have to adjust, change, adapt, accommodate? 3. Is there no way to restore status quo? 4. Why are people doing this to me? These and more questions may well be logical. And you may perhaps be justified in asking them. But you will soon discover that it is pointless to ask them. For, there are no answers in Life – there are only experiences. Whatever happens, you can only experience something. If it’s good, you say, “Wow! Aha!” and if it’s not what you want, you say, “Damn! Aiyyo!” Either way, soak in what’s happening to you, carry some of it in your heart as Ajit advises, and simply move on….If there’s something like Life’s simplest learning ever that you want to pick up – this is it! Author AVIS ViswanathanPosted on June 27, 2013 March 14, 2016 Categories Ajit Singh, Art of Living, Balveer, Chennai, Diplomat, http://schemas.google.com/blogger/2008/kind#post, Inner Peace, Intelligent Living, Singapore Consul General, SufferLeave a comment on Just move on….